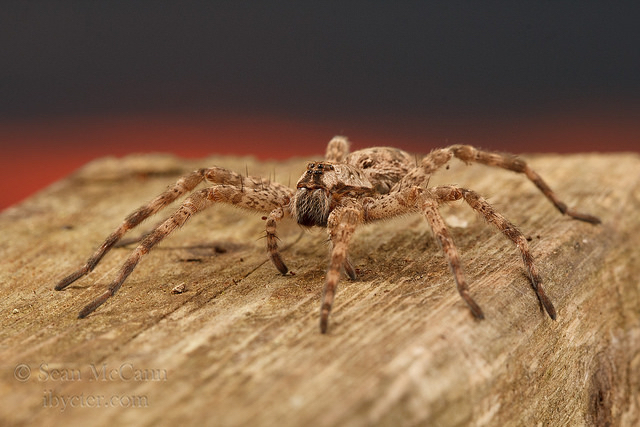 This entry was posted in spider diversity, Spider Week and tagged Dock spider, Dolomedes, Fishing spider, Pisauridae, Raft spider, Wharf spider by cataranea. Bookmark the permalink. 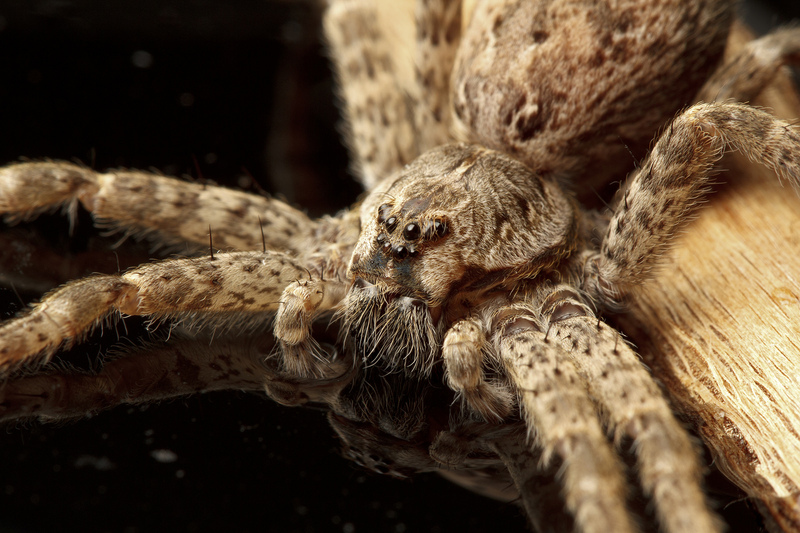 I’ve seen plenty of (what I believe to be) fishing spiders in the North Maine Woods. On more than one occasion, I’ve reached for a juicy blueberry near a lake in August only to be startled by a mother on her nursery web. They are of impressive size. 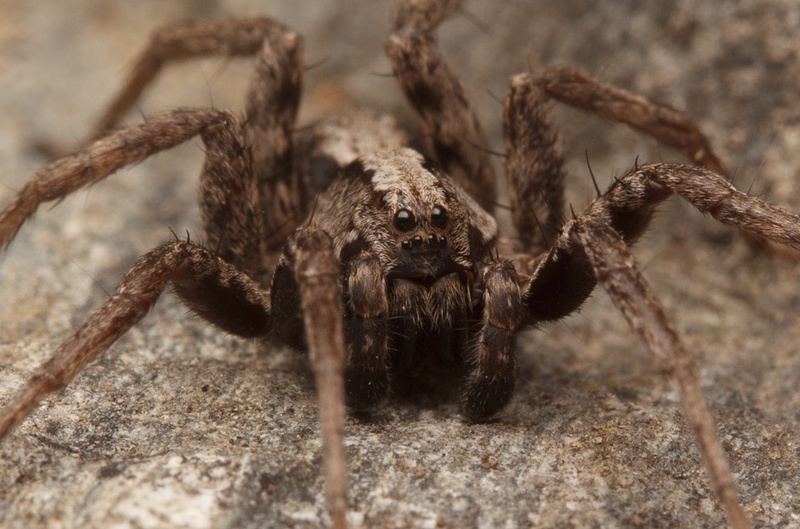 But I’ve also seen another spider with an interesting swimming behavior that doesn’t seem to coincide with the locomotion methods you described for fishing spiders. 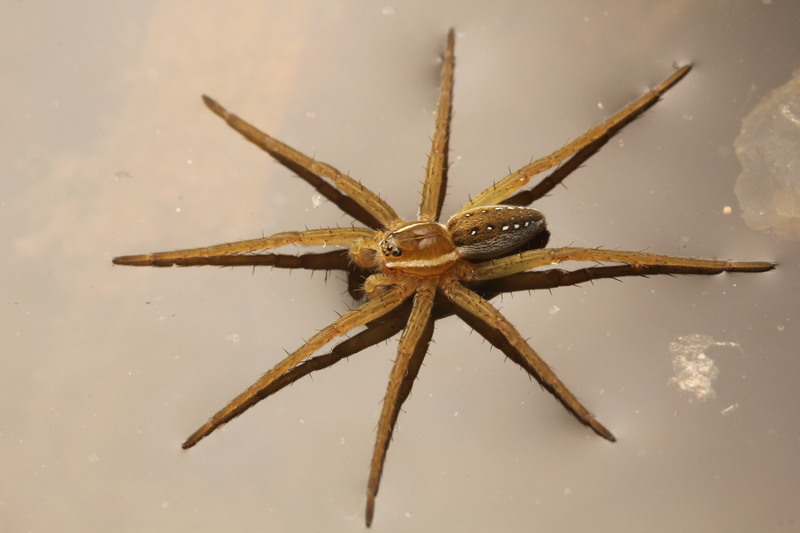 I was wondering if you might know what sort of spider stands on the water surface with the outer 4 legs and swims or strokes it’s way along the surface with the inner 4 (pairs on either side are moved together in unison, and stroked like oars). Either way, thanks for the informative post! 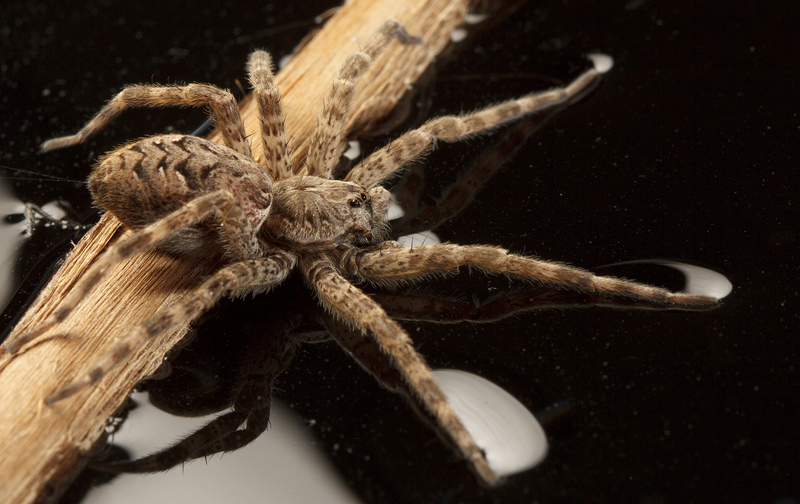 I am not aware of any spiders that locomote like that on water – were they water striders perhaps? No, I’m quite sure it was a spider, and a fairly large one at that. 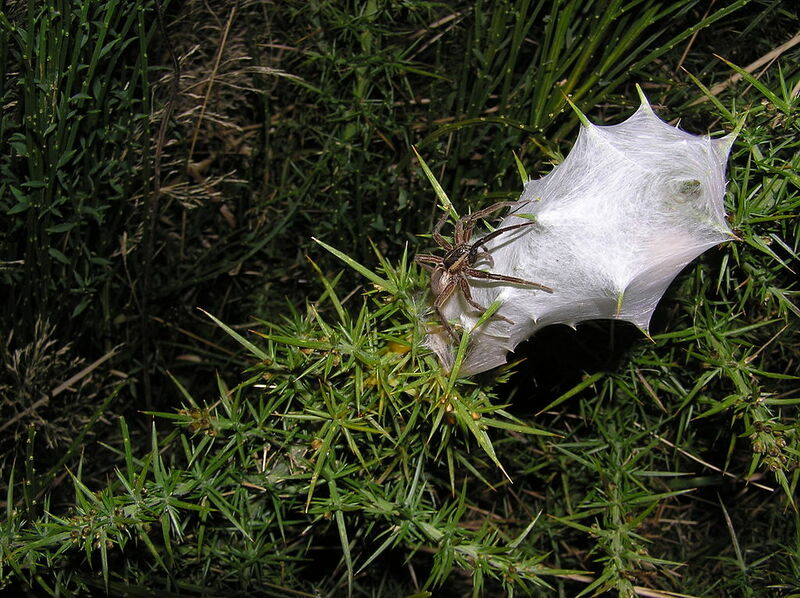 My arachnid taxonomy may be no good, but my ability to identify insects is well-developed (I trained a bit in entomology, and have published on Lepidopteran flight). It took me a bit, but I dug out my old field notes. Since I can’t include an image in this reply, I’ve posted my old notes on my blog at http://www.ratiocination.org/blog/. My handwriting is likely to be impenetrable, but the diagram might be helpful. The body was apparently 1/2 to 3/4 inches long. It was brown with light highlights giving a mottled appearance. 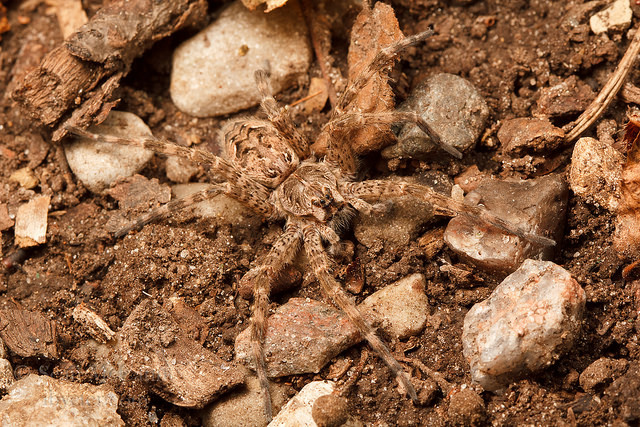 Like many of the spiders in your images, legs were light brown with light, transverse bands. 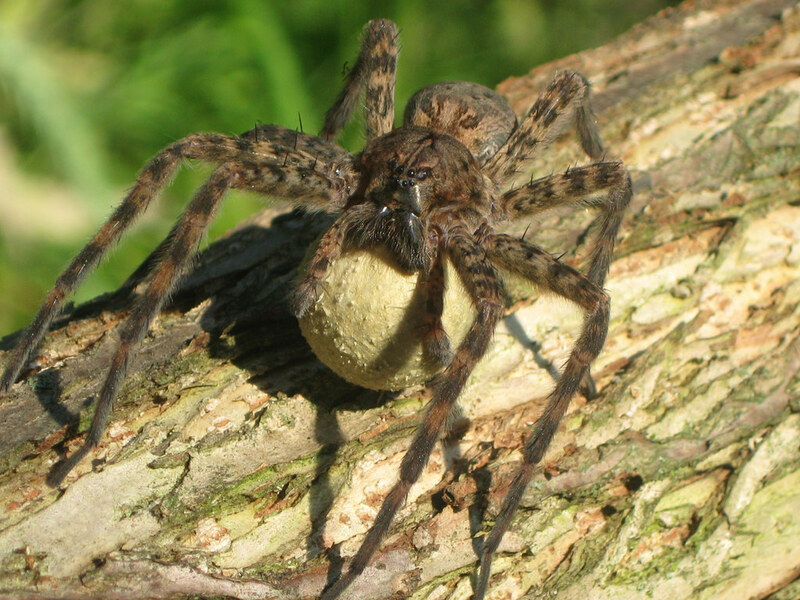 Perhaps it simply was a fishing spider!